Apostolos Karakasis has been active in the Greek documentary scene over the last 20 years as director and editor. His work for ERT includes over 20 films on cultural and historical subjects, while his independent films “98 years” (1998) & “National Garden” (2009), were both awarded the audience prize at Thessaloniki International Documentary Festival. He is a professor at the School of Film Studies of the Aristotle University. 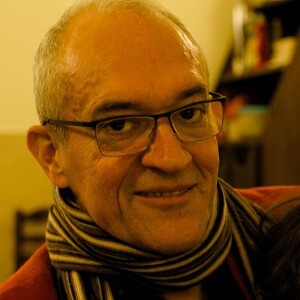 Film director and producer, Marco Gastine created Minimal Films in 2002. The company has produced feature length creative documentaries directed by Marco Gastine: “Marseilles, a Greek profile” (Greek state award for best documentary), “Themis” (selected at the Cannes Film Festival), “Demokratia, the way of the cross” (nominated for Prix Europa 2013). It has also produced documentary series, in collaboration with some of Greece’s most prominent documentary filmmakers: «Little Odysseys», “Docville” (nominated at Prix Europa 2011) and coproduced international documentaries: “Athènes les éclats” by Antoine Denis, “When Sisyphus rebels” by Abraham Segal, or documentary series: “The Shadow Fighters” and “Alexander the Great” by Bernard George (ARTE), «Les Oubliés de l’Histoire» (ARTE). Based in Brussels and Athens since 2014, Eleni Chandrinou is working as a freelance producer and with her own company focussing on feature documentaries. She has an on going collaboration with Minimal Films. She also collaborates on a freelance basis with training organisations, festivals and audio-visual markets. She provides advisory service to producers with a focus on development, international financing and distribution strategies. 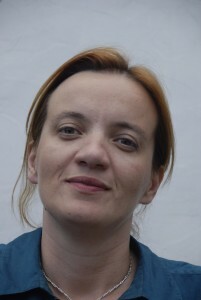 Before that, she spent more than 10 years working for the MEDIA Programme of the EU in Brussels, where she dedicated most of her time to the evaluation of projects. Chronis Theocharis was born in Athens in 1961. He studied cinema direction and film editing in Athens and Paris. He worked as an assistant director in movies and TV series for many years. He has edited a lot of important and awarded film documentaries. He is a member of the Greek Film Academy and still lives and works in Greece of the crisis. His latest work “The Longest Run” directed by Marianna Economou, awarded in Leipzig 2015. 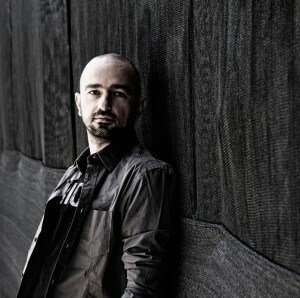 Stavros Gasparatos is a Greek composer and sound artist. He mainly composes music for dance, theatre and cinema, but he is also frequently working on solo projects. His music has been performed in all major Greek theaters and concert venues (including the ancient Epidaurus theatre, the Onassis Cultural Centre, the Megaron Concert Hall, etc) and also in London, Macao, Naples, Berlin, Toronto, Sofia, Amsterdam, Paris and New York. He is a frequent collaborator of the National Greek Theatre. He has composed music for over 100 productions and is considered as one of the most important and prolific composers of the new Greek generation as well as a brilliant musician and virtuoso performer. 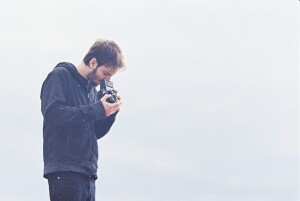 Thanasis Kafetzis was born in Thessaloniki in 1991, and is a film student at the Aristotle University of Thessaloniki. He has worked in numerous short and feature length fiction films, as well as documentaries, in various roles. Works of his have been projected at festivals and exhibitions in Thessaloniki, Athens, Berlin, Valencia, Marseille and Lodz. At the moment he is finishing his degree film.